U.S. President Donald Trump says he will soon start the formal termination process for the North American Free Trade Agreement (NAFTA), giving lawmakers six months to approve a new trade deal that was signed on Friday. 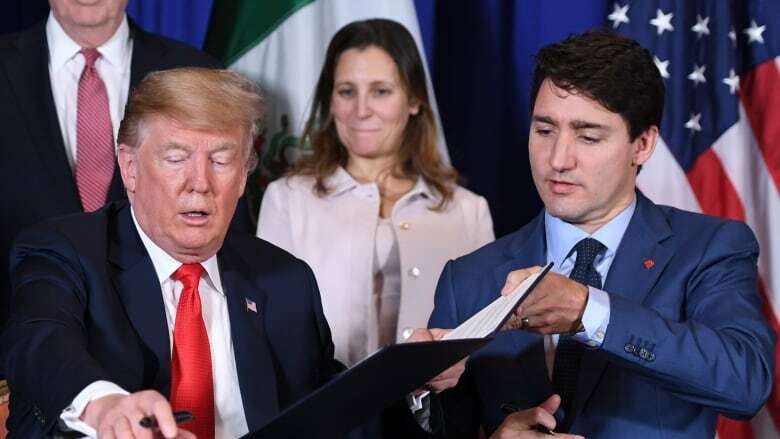 Any relief Canadian officials felt over Friday's signing of NAFTA may fade away, as U.S. President Donald Trump announced he's taking a risky all-or-nothing approach to getting the new trade pact ratified by Congress. As he left the G20 summit in Buenos Aires, Trump told reporters on board Air Force One that he plans to terminate the current NAFTA agreement, meaning Congress will be forced to make a choice: either ratify the new agreement, or have no agreement with Canada and Mexico at all. "I'll be terminating it within a relatively short period of time. We get rid of NAFTA. It's been a disaster for the United States," Trump told reporters. If Trump follows through on his plan, once he starts the formal termination process it will give U.S. lawmakers a six-month window to approve the deal. "That'll be terminated so Congress will have a choice of the USMCA or pre-NAFTA, which worked very well," he said. 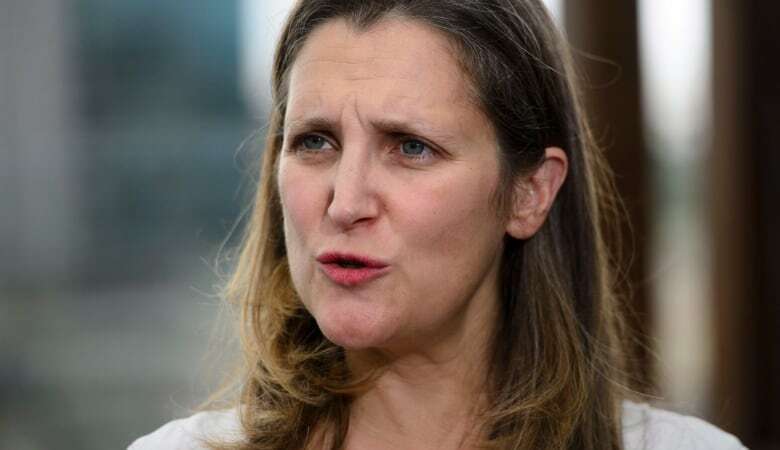 The news broke as Canada's prime minister and foreign affairs minister were on board an overnight flight with Canadian diplomats and reporters, also leaving the G20 summit. When the plane landed in Miami to refuel at 4:30 a.m. Sunday, a senior Canadian official downplayed any concern about the move, saying this is "no surprise." "The U.S. domestic process is their own, and it would be inappropriate for Canada to intervene," the official said, speaking on background. Getting the new NAFTA through Congress may be an uphill battle for the Trump administration, as Democrats won control of the House of Representatives in the fall midterm elections. The Canadian delegation's departure from Buenos Aires was delayed Saturday night, with the prime minister's plane forced to wait on the tarmac, so that Air Force One could depart first. Justin Trudeau returns home amid domestic criticism that he signed the new trade deal, while U.S. tariffs on steel and aluminum remain in place.